Maybe you like the curves of the iPhone 7, maybe you just don’t trust Google with your data any more, or maybe someone just gave you an iPhone as a birthday present. Whatever the reason, here’s how to get your entire digital life from Android to iOS with as little head-scratching as possible. For simplicity’s sake, we’ll assume you’re set up on Android with your data plugged into Google’s services (Gmail, Google Calendar and so on). If you’re using something else, like a Microsoft or Yahoo email address, the process will be similar, and often just involves installing the relevant Android-analogous app on your new iPhone. We should also point out that a future Field Guide will talk about moving in the opposite direction, so watch this space for that. You can automate much of what we’re about to talk about with Apple’s official Move to iOS app for Android: it handles email, calendars, contacts, photos, videos (taken with the device), and even text message history. There are a couple of caveats to consider. One, you need to be setting up your iPhone from scratch, so it needs to be brand new or freshly reset, and two, it doesn’t give you all that much control over the way everything gets switched. It also misses out some of the files and data we’re going to cover below, and as you’ll note in reviews of the app, it can be hit and miss on actually transferring texts. Moving SMSes is tricky—Move to iOS is in theory one of the cleanest options, as we’ve mentioned, but you need to be setting your iPhone up from scratch, and users report mixed results in transferring SMS history right into iOS Messages. We tried several times to get the app to work on our devices and had to give up as it refused to make a wireless connection, but your mileage may vary. Backing up an archive of your Android texts isn’t too difficult: SMS Backup+ will send them all to Gmail for you, and SMS Backup & Restore can back them up to Google Drive or Dropbox too. A variety of third-party Windows and macOS apps promise to do the job for you as well, but we’d be wary of installing anything unofficial unless it’s been around for a long time, is regular updated, and has a long list of positive user reviews. We can’t vouch for the security or reliability of any of them, except for SMS Backup+, which we’ve been using without any problems for years, and SMS Backup & Restore, which comes from a very reputable software developer. Unless you can get Move to iOS to work better than we did, replicating an exact copy of your Android SMS history in Messages looks almost impossible—at best you can get some kind of archive exported for future reference. It’s a different story with other instant messaging apps, which we’ll come on to later. If you want to take your Gmail account with you over to iOS, you’ve got two options: install the Gmail app for Apple devices, or add your Gmail account to the default Mail app on iOS. The first one is easier but the second helps you cut ties with Google more quickly. First, you need to prepare your Gmail account for the great export. Open the Settings tab on the web (click the cog icon then Settings), switch to the Forwarding and POP/IMAP section, and enable either POP for all emails or IMAP. Are you going to carry on using your Gmail account? Then use IMAP, which gives you two-way access to your Gmail inbox from Apple’s Mail app. Do you just want to download your old Google messages and never look back? Go for POP, which will download all your emails. With that done, open up Settings in iOS, choose Mail, then tap Accounts and Add Account. Choose Google if you’re taking the IMAP approach, then follow the instructions on screen to sign into your Gmail; choose Other if you’re using POP, in which case you’ll need these details to configure access. You can move your Google (Android) contacts and calendars over to iOS very easily: open Settings on your iPhone, tap Contacts (or Calendar), then choose Accounts. Choose Add Account and Google, or pick the existing Google entry from the list, then log in with your Google credentials to get everything synced over. That then keeps your Google Contacts and Google Calendars in sync with the native Contacts and Calendar apps on iOS (and macOS)—but perhaps that’s not what you want. If you’d rather forget the syncing aspect and just move your Google data over in a one-time operation, it’s a bit more involved and needs a manual export and import: it’s messier, but it does mean you can get everything natively inside Apple’s apps and leave Google behind. First you export your Google contacts to a .vcf file from the Contacts app on Android (in Settings on the app menu) or via Google Contacts on the web. Select all your contacts then pick More to find the Export link. That .vcf file can then be imported through iCloud on the web or emailed to your iPhone—once you tap on the attachment, you’ll be asked if you want to import the contacts. It’s a similar process with Google Calendar. Here you need to visit the web interface, then export your schedules by clicking the cog icon, Settings, Calendars and Export Calendars. The files you’ve created can’t be imported into iCloud though—you need to add them in the Calendar app in macOS to sync them to an iPhone via iCloud. If you don’t have a macOS machine on hand, you’re pretty much stuck with entering your birthdays and appointments all over again, unless you’re happy with just using Google Calendar for iOS or trying Move to iOS for Android with the caveats we mentioned earlier. This can be incredibly straightforward or rather messy depending on how you want to do it and where your photos and videos are stored. Assuming you’re taking advantage of Google Photos, the native photo manager for (stock) Android, you can simply install the iOS version to get at your whole library pictures and movies (and to upload anything you take on your new iPhone). You go to Settings then Back up & sync and Back up device folders to make sure you’ve got absolutely everything copied off your phone and up to the cloud. Even if you’re abandoning Google services completely, this option will show you all the different folders on your Android device where pictures are stored. If you want to get everything moved, pixel-by-pixel, from Google Photos to Apple’s iCloud Photo Library, more effort is required: we’ve actually done a complete guide to this in the past. Refer to that article for full details, but in summary you need to use Google Drive or Google Takeout to get hard copies of your photos and videos downloaded to a macOS or Windows machine. From there you can import them into Photos for macOS, iTunes on Windows, or iCloud on the web, and from there over to an iPhone. If you don’t use Google Photos, you need some other method for getting all your Android photos and videos to a computer, and from there to Apple Photos and iCloud. Dropbox will do it, for example, or you can use the tried and trusted USB cable method. Just be sure that you’ve harvested all the files from all your apps—apps like Twitter and WhatsApp save photos in a different location to the main gallery, for example. Android being Android, you might have your music and movies on your phone in all kinds of ways: Netflix, Plex, Google Play Movies & TV, and so on. Just about any video or music app you have installed on Android will be on iOS as well, including those we just mentioned—a lot of the time there are no files to transfer, just logins to manage. Any local files you’ve got queued up on Android should work just fine on iOS too. You don’t have to use Apple’s own music and video apps if you don’t want, but if you do then you need to get your local files off your Android device and into iTunes with the help of a macOS or Windows machine. Presumably a lot of the files on your Android device were synced from a computer in the first place, but if not they can be transferred via USB or an app like Dropbox, as with your personal photos and videos. Then from iTunes, choose File and Add to Library (macOS) or Add File to Library (Windows) to import the media. If you run into file format problems we’d recommend using Handbrake to solve them. iOS is more restrictive when it comes to syncing music and movies to your phone, and if you don’t want to go through iTunes, you need to use an app that can pull files straight from the cloud or over a Wi-Fi network rather than relying on local storage: the likes of Plex, Spotify and VLC will all do the job. If you aren’t cutting the Google cord completely, Google Drive is another good option for watching video on iOS without having to actually transfer any files, because you can stream files straight from the cloud. It’s when you’re switching between mobile OSes that these device-agnostic apps and platforms really come into their own. In short, you’ve got plenty of choices for apps that will play your local, unrestricted, DRM-free music and movie files on iOS, while any digital library app you’ve been using on Android will have an equivalent on iOS, so there’s no real problem there either. There’s no way around the fact that you need to get all your Android apps installed again on iOS, and pay twice in some cases. Though subscription services like Netflix and Spotify just switch straight over (moving between devices is another good reason to live your digital life in the cloud). Most social media and messaging apps will take everything from Android to iOS for you, though there are exceptions, with WhatsApp being one of the big ones. Unfortunately, WhatsApp’s own backup and restore function only works when you’re going from Android-to-Android or iPhone-to-iPhone. As with text messages, various third-party options are available, but we can’t vouch for any in particular. If you’re happy just having a record of your WhatsApp chats and are ready to start afresh on iPhone, you can email them to yourself. From the WhatsApp Settings screen, tap Chats, then Chat history, and Email chat: you can then pick your conversations one by one and email yourself a copy, with or without attached media. We can’t go through every messaging app in detail here but obviously your switch is going to be easier with those apps that store everything in the cloud (hello Google Hangouts). Virtually every instant messenger on Android has an iOS equivalent so it’s a question of exploring the import and export options—you may just have to start again with a blank message history on iOS. Another area where you might have trouble is with your saved games and high scores: not only will you need to pay for all your games again, you’re probably going to lose your progress too. Some apps, like Subway Surfers (with Facebook) and Boom Beach (with a code), will let you transfer progress and scores between devices, but again you’ll have to do the research every game you own to be sure. If you can’t find the answers you’re looking for out on the web then contact the developer directly and see if there’s any way for getting your saved games from one platform to the other. The same goes for other types of app if you can’t see an obvious way of moving data between Android and iOS installs. We’re not quite done yet! You might want to be as comprehensive as possible in your data switchover—think about any documents or spreadsheets you’ve got stored on your Android device. Most productivity apps will store these in the cloud, so getting at them from iOS should be simple, but it’s wise to double-check. The vast majority of Android apps can be found on iOS, with the only exceptions being advanced customization tools such as Tasker or the Android launchers, which you’re just going to have to live without in iPhone-land. Other apps should have iPhone equivalents and some kind of mechanism for switching files over—if you’re worried about something getting left behind, use a file manager like Solid Explorer for a deeper look. One of the folders to check is the Downloads folder, which brings us to our final section. 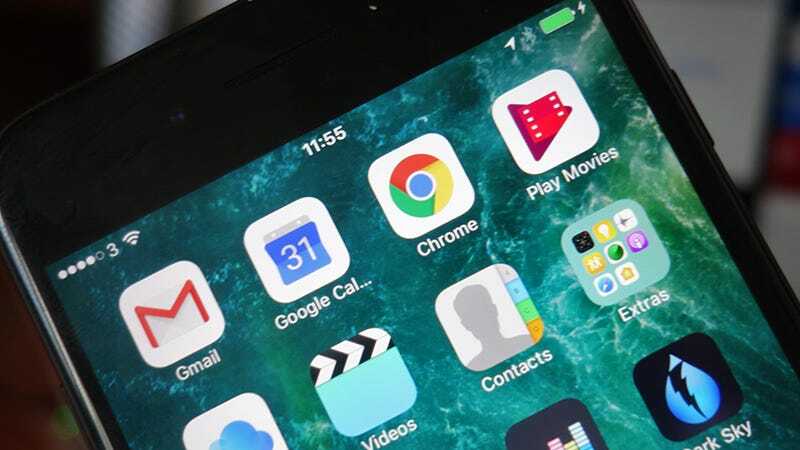 If you’ve got Chrome on Android syncing everything like passwords and bookmarks back to the cloud, you can simply install Chrome on iOS and get on with your life, but if you’re determined to use Safari on your new iPhone then you need to jump through a few more hoops. The aforementioned Move to iOS is one option for your web bookmarks, or you can set up synced versions of Chrome and Safari on macOS and use the respective export and import tools to get everything moved over (and from there to your iPhone). If neither of those options appeal, you’re going to have to start from scratch, and the same goes for stored passwords and browsing history (you can at least access your saved Chrome passwords from this page on the web to ease the process of switching over). These elements are just too deeply integrated into Chrome to get them easily over to Safari, so embrace the chance to start afresh. It may not be possible, but ideally you want to keep your Android and iOS devices running alongside each other for a while: it makes it easier to check up on gaps in your transferred data, like browsing history, and helps you spot anything you might have missed (such as a PDF file that’s fallen through the cracks).